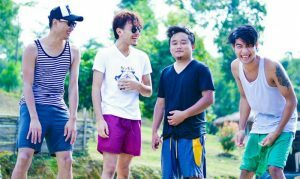 Indie Pop, rock band ‘Beyond Sunday’ from Mokokchung district formed in 2015, is passionate about making change through the power of music. Read on to know more about ‘Beyond Sunday’ as they share their experience in the music industry. EASTERN MIRROR: For the record, could you guys introduce us and the role you play in ‘Beyond Sunday’? Beyond Sunday: First of all, we feel honoured to share about us and the things happening with our band through the esteemed newspaper “Eastern Mirror” to connect and reach out to the masses of music lovers. Before we introduce ourselves, we would like to first tell about our band. “Beyond Sunday” is an indie pop Christian band from Mokokchung district established in the year 2015 (1st of October). On stage, “Beyond Sunday” is jam-packed with Wapang Longkumer (on Vocal & keys), C.Temjen Jamir (on Guitar), Imtizen Jamir (on Bass & vocal), Wapang Walling (on Drums/vocal). Music is our passion and we believe that music has the power to change. We feel empowered to make a change in the society through our music. EASTERN MIRROR: How did you guys meet? Talk us through your musical journey. Beyond Sunday: All the band members are from the same locality, Mokokchung is our home town and initially we were not known to each other except for our brother Temjen (Guitarist) & Imtizen (Bassist) ; both from the neck of the woods. We met and came to know each other in different occasions like Musical events, Concerts and Church Activities. Back then we were introduced to each other through our circle of friends and as a naïve youth, determined and focus fully on Music which was our passion and ultimate desire, we start talking and sharing to each other about starting a Band. It was a time where we had common feeling and views about forming a Band with a goal to improve ourselves as a musician while learning from each other to climb the ladder and reflect gist and purpose of worshiping through Music. Since the Band was formed, we remained intact and we have been performing in all kinds of public events, Church activities and concerts and till today we are given the opportunity to perform on different stage by various groups, Church bodies and social Organization. Technically we faced many issues in the beginning. We lacked behind in the aspects of musical instruments and sound gears. We had to adapt and accommodate ourselves with what we possessed. It was a tough challenge and struggle for us, especially when we had to perform for mega events. But as we prevailed and endured through our Musical journey, we now have a decent set of sound gears. Also, we feel privilege to be invited for performing in so many special events. So far, we have produced few Singles & 2 EPs (Extended Plays). EASTERN MIRROR: What does your band name signify and where did it come from? Beyond Sunday: We came up with our Band name as “Beyond Sunday” meaning that we are a group of young people who devotes our time and worship to God not only on Sunday but further goes beyond the Sunday. We believe that every day is a day to worship and remain devoted to Almighty God. “Beyond Sunday” is just not the name of our band but it is a theme which is very meaningful to our Band group which truly inspires us in our daily life struggles to be motivated and lean towards God. EASTERN MIRROR: Your band has stated that writing & composing is something that you love. What are the main themes or topics that you cover? Beyond Sunday: To mention a few of our songs that we have written, “Grace” , “Tempted”, “ Love Matters” & “Christmas Time” are some of the songs that we have come up. When we write the lyrics for a particular song, our main focus is to carry messages targeting younger generations to find God and seek solutions through the word of God especially when one is going through difficult times. We are of the view that young people in this day and age has to deal with so many complications and situations in life and we believe that through our Music we can bring changes, happiness to someone’s life and his/her family. EASTERN MIRROR: How does the song writing process works for you? Do you have any influences? Beyond Sunday: For us Song writing is purely based on our inspiration and our belief. The process of song writing is a team work and involves lot of handwork and we have to give credit to our Vocalist Wapang Longkumer for his tireless efforts and outstanding contribution in song composition. Our influences come mainly from indie Pop music and from artist such as Jordan Feliz & Hippo Campus. EASTERN MIRROR: In every music genre there are bands that are just a simple duplicate of another band. What do you consider as the USP of ‘Beyond Sunday’? Beyond Sunday: Though we find influences and inspiration by looking up to renowned artists and bands, we have our own way of presenting our songs on stage. Our approach towards music promotion is rudimental and we keep it simple and basic. The support and reaction from the crowd is what we see as a USP or in other words we feel that it is the driving force to keep us going and keep pursuing our dreams. EASTERN MIRROR: Working as a group is not easy especially when each individual having different ideas and taste. How do you work it out? Any issues you have faced initially? Beyond Sunday: For the past three years we have been working together as a band and spend most of our time together in a sound recording room which is a home-based studio. Even though we go along well enough as a team towards our ultimate goal of making music, sometimes each one of us do have differences in certain aspects like differences in opinion, personality, professional abilities and different perspective within the scope of the band. These are only small differences and disagreement we face sometimes and we do are affected with mixed emotions and we always sort it out and resolve among ourselves by addressing the real issues between each other and mutually creating options by communicating and sharing with each other. 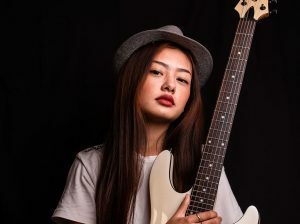 EASTERN MIRROR: Three issues that you strongly feel about the music industry of Nagaland. What do you think can be done? The lack of opportunity and the lack of platform to commercialised and market our music recordings. So far, no producers or say the local promoters or stakeholders have approached us to produce Music recording and Music videos. Performing on stage such as concerts and musical events has various technical issues. Our local buildings which host such kind of musical event has very poor infrastructure and lacks the fine-tuned acoustic structure. We also feel that we just don’t get enough exposure to Music Training and skill development activities and creative workshop programmes related to sound gears and digital domain. We believe that for now what we can do is make the people aware of how a musician or an artist struggles or how we are taken for granted in our state for it is by their support that we can sustain. And we who understands these problems should be selfless and support other artists, bands or groups. Sometimes all it takes is to go and subscribe and tune in to the channels or websites of the people who are in the music industry and share it. EASTERN MIRROR: What is the ultimate direction for your band? Beyond Sunday: We are immensely blessed to have started this journey together and as we have stated above, we hope to extend our sphere of influence by producing more music which can impact lives, and be faithful to our Lord and passion. Like any other band, we also aim to go big.